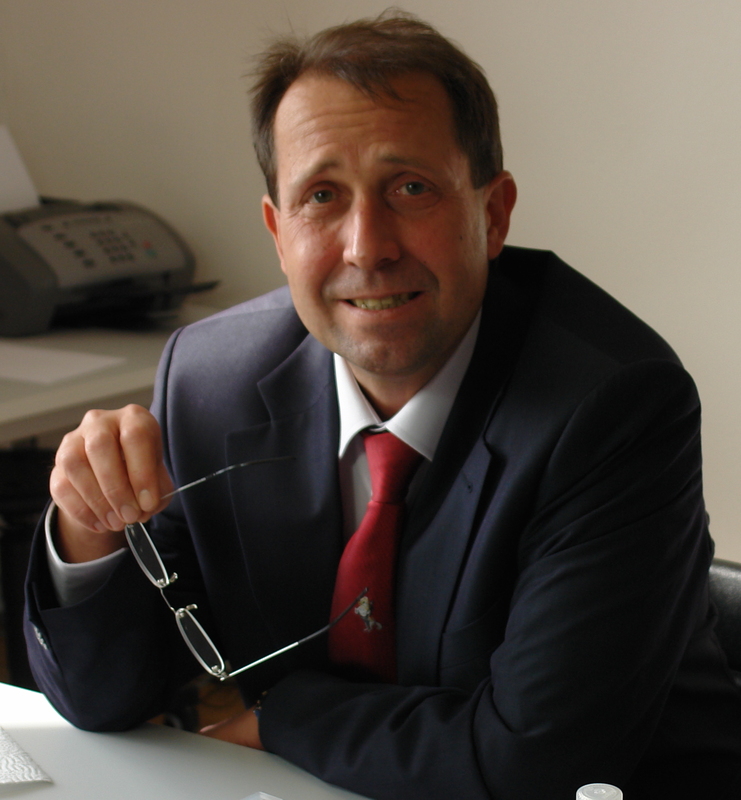 Dr. Dino Celeda holds a PhD in Biology from the Ruprecht Karls Universitaet, Heidelberg, Germany where he specialized in Human Genetics. Dr. Celeda’s experience includes a variety of prestigious positions such as Senior R&D Officer, Co-Founder and Director of Genetic Testing. Currently, he serves as the Scientific Officer for Cell Science Systems. This article shows a few simplified steps on the importance of methylation and appropriate homocysteine levels and their connection to certain metabolic processes like glutathione synthesis, mitochondrial ATP production, oxidative stress and detoxification. Moreover, it demonstrates how all these metabolic processes are interconnected and controlled by specific genes and how mutations (SNPs) in these genes influence these metabolic pathways. In addition, certain recommendations are proposed for targeted supplementation helping to “bypass” SNPs in those genes. This reveals the importance of an individualized treatment, including hints for personalized diet plans and personalized supplementation, leading to a functional medical genetic approach. Elevated homocysteine levels are known as an important risk marker for cardiovascular diseases. Numerous research articles have also shown that elevated homocysteine levels are linked to certain genetic traits 1,2,5,7,8,18,20. The gene methylenetetrahydrofolate reductase (MTHFR) with mutations at sites C677T and A1298C have been looked upon to play a major role in homocysteine balance1. MTHFR is responsible for the biosynthesis of 5-methyltetrahydrofolate (5-MTHF), also known as bioactive folic acid. 5-MTHF is the primary methyl donor for homocysteine. Its methyl group converts homocysteine to methionine. Low levels of 5-MTHF, due to SNPs in the MTHFR gene, are therefore responsible for the accumulation of homocysteine in the blood. Simply, there are not sufficient amounts of 5-MTHF present to convert homocysteine to methionine effectively1,11. Supplementation: If SNPs in the MTHFR gene are present, supplementation with the MTHFR product, 5-MTHF is recommended 11. In reviewing the entire homocysteine/methionine cycle, other important genes are also involved in this process. Specific SNPs in these other genes can also alter homocysteine levels and methylation potential in the body (see table 1). To generate methionine from homocysteine by using the methyl group of the prior synthesized methylcobalamin. Specific SNPs in this gene are associated with a reduced activity of the resulting enzyme and have been described with elevated homocysteine levels 12. Supplementation: If SNPs in the MS gene are present, supplementation of the MS product, methylcobalamin is recommended. MTRR encodes for methionine synthase reductase (MSR) and supports the MS (methionine synthase) in the remethylation of homocysteine to methionine 18. Its task is to keep the MS enzyme in an active form. After numerous reactions, the MS can become oxidized, thus losing the ability to attach the methyl group from the complex MS-methylcobalamin to its target, homocysteine. The MS enzyme has than to be reactivated in a so called “ping-pong” reaction by MSR. SNPs in the MTRR gene have been associated with elevated homocysteine levels (in combination with SNPs in MTHFR) and increased DNA damage8. Supplementation: If SNPs in the MTRR gene are present, the supplementation of SAMe (S-adenosyl methionine) is recommended. SAMe is used in this reaction as the reducing (activating) agent by MTRR. Catechol-O-Methyltransferase (COMT) is responsible for the transfer of the methyl group from s-adenosyl methionine (SAMe). SAMe obtains (in an additional transfer reaction) its methyl group from methionine (see 3 and table 1) and donates this methyl group with the catalytic function of COMT to specific substances in the body for further biosynthetic processing (detoxification, regulation of metabolites…) 3,9,13. COMT is one of the major key players in methylation and is involved in many reactions in the body, such as: drug metabolism/clearance, neurotransmitter regulation, gene expression (DNA methylation) and detoxification of a variety of environmental toxins. Specific mutations in the COMT gene are described with a reduced activity of the resulting enzyme, leading to reduced methylation, thus lowering methylation potential of the patient. It is very important to identify relevant SNPs in COMT, especially if the patient is on COMT inhibitor medications, such as: Entacapone, tolcapone and nitecapone. In addition, consumption of natural COMT inhibitors like tea catechins and quercetin should be taken into consideration if SNPs are present and/or the patient is on COMT inhibitor medications. Supplementation: If mutations in the COMT gene are present, supplementation of SAMe is recommended. S-Adenosylhomocysteine hydrolase (AHCY): After COMT and SAMe donate methyl groups to substances for further biosynthetic processing, (detoxification, regulation of metabolites…) SAMe is converted to S-Adenosylhomocysteine (AdoHcy). In a second step, AdoHcy has to be converted to homocysteine again in order to maintain the balance of the homocysteine/methionine cycle8,11,17. AdoHcy is an inhibitor of all methylation processes in the human body. The ratio between AdoMet and AdoHcy is also referred to as the methylation potential of the organism. Therefore, it is crucial that AdoHcy is immediately converted to homocysteine and adenine by the AHCY enzyme in order to not impair methylation potential 12. AHCY is the only mammalian enzyme known to convert AdoHcy to homocysteine. Relevant SNPs in this gene have been associated with impaired function and elevated AdoHcy concentrations, influencing the methylation potential. Studies show that these specific SNPs are the cause of poor methylation potentials and are associated with severe myopathies, developmental delays and hypermethionemia. Supplementation: If SNPs in AHCY are present, the supplementation of nicotinamide adenine dinucleotide (NADH) is recommended. NADH serves as a co-factor of the AHCY enzyme in this reaction. The success of personalized supplementation and/or treatment is monitored by homocysteine blood levels. Therefore, periodic homocysteine monitoring is recommended to assure and maintain treatment progress. Homocysteine has mainly been looked at to be involved in methylation processes. However, homocysteine has an additional important task. It is the template for the important antioxidant glutathione and pyruvate (salt of pyruvic acid), which is used in the Krebs cycle. In the trans-sulfuration pathway, homocysteine is converted to the intermediate compound cystathionine by the enzyme cystathionine-?-synthase (encoded by the CBS gene). In an additional step, cystathionine is converted to the amino acid L-cysteine by the enzyme cystahionine- ?-lyase encoded by the CSE gene. In both reactions, vitamin B6 (pyridoxal phosphate) serves as a co-factor14. Biosynthesis of pyruvate, as an additional pathway next to pyruvate generation in glycolysis. Pyruvate enters the Krebs cycle yielding important compounds such as the energy donor GTP (guanosine triphosphate) and the important reducing agent NADH (nicotinamide adenine dinucleotide), involved in the production of an additional energy rich donor compound, adenosine-tri-phosphate (ATP) in oxidative phosphorylation in mitochondria 13,14. Biosynthesis of H2 H2S is regarded to be an effective substance in cellular protection, especially in neurons and cardiovascular systems14. Biosynthesis of glutathione by glutathione synthase (encoded by the GSS gene) and glutamate-cysteine ligase (GCL gene) by using L-cysteine, L-glutamate and L-glycine as a template. The GCL gene has two important subunits; glutamate cysteine ligase catalytic subunit encoded by the GCLC gene and the glutamate-cysteine ligase regulatory subunit encoded by the GCLM gene. Both enzymes produce the precursor of glutathione, gamma-glutamylcysteine from L-cysteine and L-glutamate. Gamma-glutamylcysteine is then finally converted to glutathione by glutathione synthase and the amino acid L-glycine 14,15,16. Specific SNPs in the genes CBS, CSE, GCLC and GCLM, which mainly control synthesis of L-cysteine and glutathione, can influence this biosynthetic pathway and contribute to elevated homocysteine levels. These elevated homocysteine levels can appear if no mutations in the major genes of the methylation pathway are present and/or if targeted supplementation or diet has no impact on elevated homocysteine levels. In this situation, supplementation of vitamin B6, L-cysteine, L-glutamate and L-glycine is recommended in order to support the important biosynthesis of L-cysteine and glutathione. Up until now, the connection between homocysteine, methylation and the synthesis of glutathione, pyruvate and NADH has been presented. The question is, how are these 3 important topics of the body connected to each other and how do they interact? Table 1 represents the pathway of these 3 processes and also shows a 4th topic: the detoxification of electrophilic compounds like metals by glutathione, genetically controlled by glutathione-S transferases (for example GSTM1)4. Let’s go to mitochondria. The main task of mitochondria is to produce ATP, the energy source of the body in a biosynthetic pathway called oxidative phosphorylation. One of the major compounds involved in ATP production is NADH. NADH is obtained from pyruvate in the Krebs cycle, which has been produced from L-cysteine. NADH serves in the oxidative phosphorylation (ATP production) as an electron donor in conjugation with oxygen serving as an electron acceptor. Their interaction produces the energy rich compound ATP, necessary for mostly all cellular processes as an energy source. However, for each molecule of produced ATP, two superoxide anions (O2.–) are generated. This is the point at which glutathione comes into play, synthesized in the homocysteine/L-cysteine pathway. In a two step reaction (see table 1) O2.– is broken down by the enzyme superoxide dismutase 2 (SOD2) to hydrogen peroxide (H2O2). In an additional step, the enzyme glutathione peroxidase (GPX) breaks the H2O2 to water. The enzyme GPX uses glutathione here to transform cytotoxic H2O2 to water 15. Specific SNPs in SOD2 and GPX lead to reduced enzyme activity causing elevated levels of oxidative stress. If SNPs in these genes are present, the supplementation of manganese (Mn), copper (Cu), zinc (Zn) and selenium is recommended. These trace minerals are co-factors of superoxide dismutase’s and glutathione peroxidase. Additional supplementation of L-cysteine, L-glycine and L-glutamate can be recommended if SNPs in the major genes of the glutathione synthesis (CBS, CSE, GCLC and GCLM) are present 14. The glutathione generated from the homocysteine/L-cysteine pathway is not only used to counteract mitochondrial oxidative stress, moreover it is involved in the genetically controlled phase II detoxification of electrophilic compounds like metals (see table 1 bottom). In this pathway, specific genes, the glutathione-S-transferases together with glutathione are involved in the detoxification. The glutathione-S-transferases mainly transfers electrons from the sulfur group of L-cysteine to the electrophilic compounds which have to be neutralized. Of all the glutathione-S-transferases, the glutathione-S-transferases m?1 is regarded to play a major role in these detoxification pathway. However around 50% of Caucasians lacks this gene, metal sensitivities have been discussed extensively in literature with this genetic polymorphism in GSTM14. Supplementation of L-cysteine, L-glycine and L-glutamate can be recommended if a person lacks the GSTM1, especially if SNPs in the major genes of the glutathione synthesis (CBS, CSE, GCLC and GCLM) are present4 . This article is intended to give a short overview about the importance of homocysteine/methionine balance for essential metabolic processes. It has to be pointed out that homocysteine is not a toxic substance, as it is sometimes stated. Homocysteine serves as a template for the genetically controlled biosynthesis of a great number of essential substances in the body. Therefore, it is of high importance to keep homocysteine at appropriate levels in order to guarantee a healthy and normal flow of important metabolic processes. Table 1: Homocysteine, donor for methyl groups in methylation and precursor in glutathione biosynthesis, important in mitochondrial oxidative stress prevention and phase II detoxification. 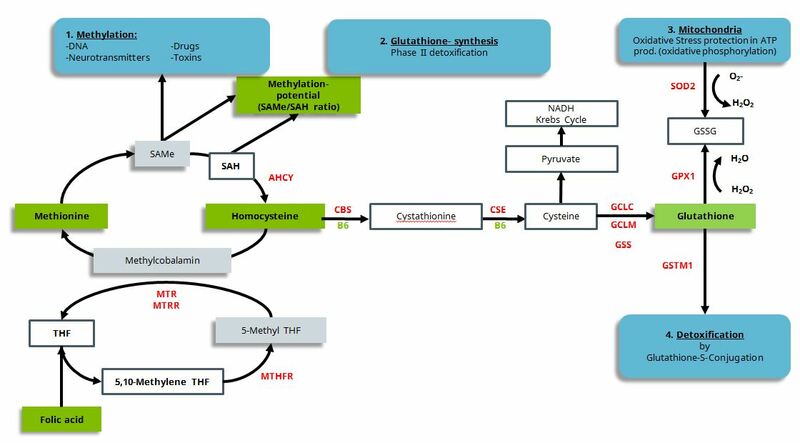 Simplified presentation of the connection between methylation, homocysteine/methionine balance, glutathione synthesis, mitochondrial oxidative stress in oxidative phosphorylation and detoxification by glutathione conjugation. Barbosa P.R. et al. : Association between decreased vitamin levels and MTHFR, MTR and MTRR gene polymorphisms as determinants for elevated total homocysteine concentrations in pregnant women. European Journal of Clinical Nutrition (2008) 62, 1010-1021. Cavalieri Ercole L. et al. : Catechol ortho-quinones: the electrophilic compounds that form depurinating DNA adducts and could initiate cancer and other diseases. Carcinogenesis vol.23 no 6 pp.1071-1077, 2012. David W. & David S. Rosenblatt. Update and new concepts in vitamin responsive disorders of folate transport and metabolism. J Inherit Metab Dis, DOI 10.1007/s10545-011-9418-1, 2011 Jane C.
Dawling S. et al. : Catechol-O-Methyltransferase (COMT)-mediated Metabolism of catechol Estrogens: Comparison of Wild-Type and variant COMT Isoforms. CANCER RESEARCH 61, 6716-6722, September 15, 2001. Figueiredo D. et al. : Global DNA Hypomethylation (LINE-1) in the Normal Colon and Lifestyle Characteristics, Dietary and Genetic Factors. Cancer Epidemiol Biomarkers Prev., 18(4): 1041-1049, April 2009. Gaughan DJ et al. : The methionine synthase reductase (MTRR) A66G polymorphism is a novel genetic determinant of plasma homocysteine concentrations. Atherosclerosis. 2001 Aug;157(2):451-6. Giusti B. et al. : High – Throughput Multiplex Single – Nucleotide Polymorphism (SNP) Analysis in Genes Involved in Methionine Metabolism. Biochem Genet (2008) 46:406-423. Qiping F. et al. 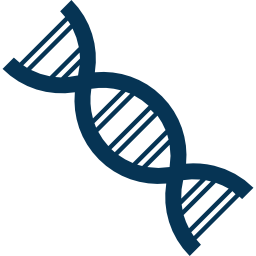 : Human S-adenosylhomocysteine hydrolase: common gene sequence variation and functional genomic characterization. J. Neurochem. (2009) 110, 1806-1817. Seong-Gene L. et al. : Association of Ala72Ser polymorphism with COMT enzyme activity and the risk of schizophrenia in Koreans. Hum Genet, 116: 319-328, 2005. Shibuya N and Kimura H.: Production of hydrogen sulfide from D-cysteine and its therapeutical potential. Frontiers in Endocrinology, July 2013, Vol. 4, article 87/1. Sorrensen M. et al. 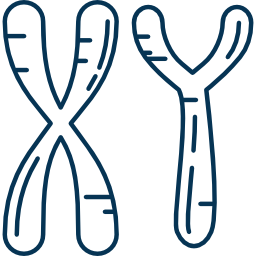 : The Mn-superoxide dismutase single nucleotide polymorphism rs4880 and the glutathione peroxidase 1 single nucleotide polymorphism rs1050450 are associated with aging and longevity in the oldest. Mechanism of Ageing and Development 130 (2009) 308-314. Stipanuk M. H. et al. : Mammalian Cysteine Metabolism: New Insights into Regulation of Cysteine Metabolism. J. Nutr. 136: 1652S-1659S, 2006. Watkins D. et al. : Hyperhomocysteinemia due to Methionine Synthase Deficiency, cblG: Structure of the MTR Gene, Genotype Diversity, and Recognition of a Common Mutation, P1173L. Am. J. Hum. Genet. 71:143-153, 2002. Wen-Xing Li et al. : Homocysteine Metabolism Gene Polymorphisms (MTHFR C677T, MTHFR A1298C, MTR A2756G and MTRR A66G) Jointly Elevate the Risk of Folate Deficiency. Nutrients 2015, 7, 6670-6687.